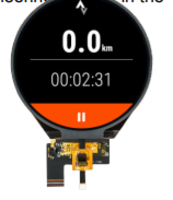 With total power consumption of 0.5–1 W, 2.4 in.Â Mono Graphic OLED DisplayÂ ModuleÂ is suited for handheld and battery-operated applications where bright clear display is needed. Average operating lifetime at room temperature is typically 50,000 hr with brightness of 120 nits. Featuring typicalÂ logic voltage of 3.0 V, passive matrix module is available with or without polarizer and touch panel, in wide selection of emitting colors, including amber, blue, green, red, yellow, and white. 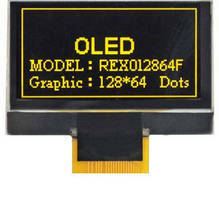 Microtips Technology is excited to announce our new 2.4” Sunlight Readable Mono Graphic OLED. This low cost passive matrix 2.4” Mono Graphic OLED display module makes a great option for any application using small size LCDs. With a total power consumption of 0.5 to 1W, this OLED display for hand held and battery operated application where a bright clear and crisp display is needed. With a build in display off mode to conserve energy, and power you can further extend operating life time. The average operating lifetime at room temperature is typically 50,000 Hrs with standard operation at brightness of 120nits. We have many other options of OLEDs such as character, graphics; TAB type. Using wide selections of emitting colors, like amber, this is most common, but has other features like, Blue, Green, Red, Yellow, and White. This particular OLED has sunlight readable enhancements including special films and polarizer’s other options are available such as no polarizer. There are other features such as typical logic voltage 3.0V, but have others up to 5.0V, touch and without touch panel. There are other options on the road map or in development of special characteristics like, transparent, flexible, and special lighting. Our 2.4” Mono Graphic OLED LCD has an interface pin function that has a communicating Protocol Select, these pins are MCU interface selection input.